The night after our luxury stay at the Ox Pasture Hall Hotel near Scarborough, we headed to my favourite beach in Yorkshire, Runswick Bay. I spent many a weekend as a child playing on the sandy stretch of beach with cliffs that tower high above the sea level. The picture postcard village is made up of pretty cottages tightly nestled within the cliffs, brightly coloured upturned boats resting on a steep slope and the old RNLI lifeboat house that was in use up until the last 1970’s. Runswick Bay is also the place where my interest in natural history was sparked by the many hours ‘fossilising’. For hours, my Dad and I would rummage through loose slate to crack open with chisels and hammers to reveal the fossilised remains of crustaceans. The stretch of cliffs along the bay consist of Jurassic rock making it one of the best places in the UK to find fossils. The best thing about fossil hunting is that anyone can do it and anyone could stumble across a huge dinosaur! A 13-foot plesiosaur was discovered a bit further south of Runswick Bay close to Filey by an electrician in 2002. He spotted vertebrae while out fossil hunting and traced the skeleton up the cliff! It was Dave’s first-time fossil hunting and I wanted to show him how exciting it is to discover the remains of an animal that lived between 240 – 65 million years ago; a span of time that I can’t even begin to comprehend. The north stretch of the Bay is THE place to hunt for suitable slate rocks to crack open. This side of the beach is very rocky and it’s a challenge to negotiate the slippy rocks, rock pools and wobbly stones. The cliffs are made of unstable shale and are prone to frequent landslides which can be dangerous but also means that fresh rock falls to the ground making it easy to reach. While walking over the exposed rock where cliff once stood, we found this huge ammonite specimen. We spent some time carefully chipping away the surface layer to reveal more of the pattern below. It wouldn’t be possible to remove the fossil but it was fun revealing more of it to gawp over. The tide was on its way in and, having researched the tide times online, knew we only had a couple of hours at most to hang around on the rocks. We spent some time cracking open slate rocks we found lying loose between the bigger rocks and rocky surface of the beach. We found parts of fossils and teeny tiny ones, but nothing impressive. I collected a small pile of rocks to get through, including a spherical rock that I thought might contain an ammonite. Up until then we had been alone on this rocky stretch but a man appeared with worn clothes and fabric sack. He greeted us as he approached then moved quickly over the freshly fallen loose rock below the cliff face. I asked him if he was also fossil hunting to which he confirmed he was. I watched him for some time while he gather rocks and put them in his fabric sack. He told us he wouldn’t spend long on the shale as it was dangerous then he moved a few yards closer to the sea and emptied his bag of rocks on top of a huge rock that acted as his table. Obviously, my interest in his activity increased and I headed over with my spherical rock to ask him whether he thought it would contain an ammonite. “Yes, most probably,” he said. “Let’s have a look”. He took my rock and gave it a good wack with his brick hammer (a much bigger tool than we had with us). He struck it perfectly because the rock opened to reveal a perfect ammonite. We spent a few moment chatting with the man before he warned us the sea would soon cut us off from getting back around to the village. The time had passed our minds as we were so engrossed in what we were doing, which can prove very dangerous. We quickly gathered as many of the spherical rocks as we could carry, thanked the man then made our way back around the rocks. He was right, the water was lapping at the last stretch of rocks before the cliff face. Our plastic bags stretched with the weight of their contents and my arms ached from holding onto my bounty as tight as possible. We didn’t have any free hands to support ourselves as we stepped over the rocks and around the pools so we were wobbling all over the place. The village and beach are at the bottom of a very steep cliff so it was all uphill to get back to the car. Out of puff, we arrived at the car and tipped out bounty into the boot. The sea was still far out enough to enjoy the sandy beach so we headed back down for a short stroll. As we stepped onto the sand we were surprised to see a bat flying around our heads. It swooped right past my head! A bat out in daylight in January at the beach was a strange sight. We had a fab day at my favourite beach and I can’t wait to get back this summer. We are yet to crack open our rocks so I will write an update when we get around to it. I reckon we have some good ones hiding in those rocks! 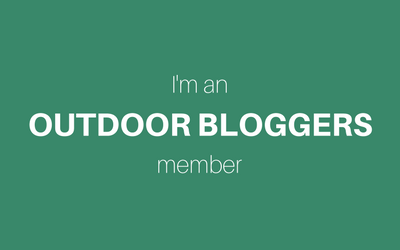 Introducing Outdoor Bloggers; a network for everyone who blogs about the outdoors.